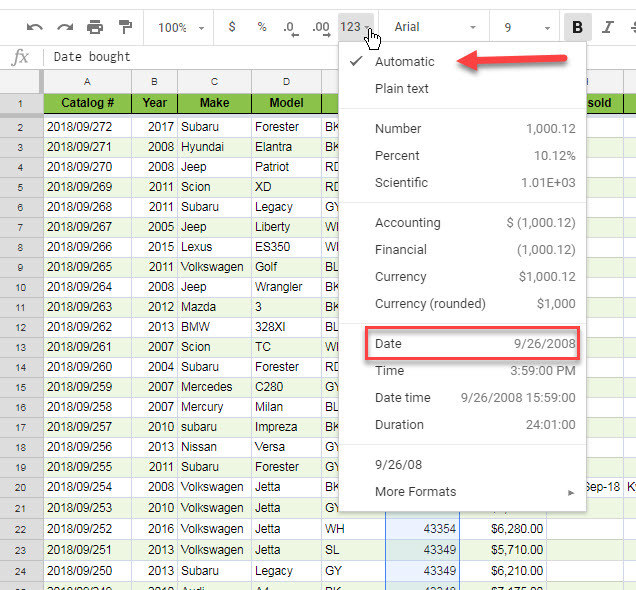 The problem occurs because Google Sheet cells and QUERY data type are the same. Instead of A2 and F2 use TEXT(A2,"YYYY-MM-DD") and TEXT(F2,"YYYY-MM-DD") and enclosed inside date 'xxxx' where xxxx is the place for the date. Not the answer you're looking for? Browse other questions tagged google-sheets google-sheets-query date or ask your own question.